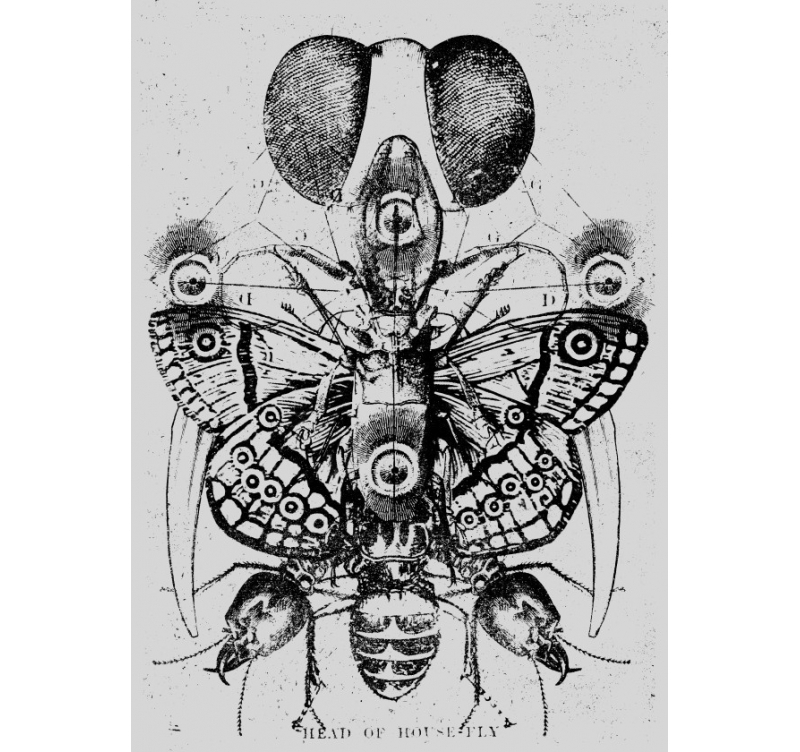 Insects mingle artistically in this original creation in black and white. In your opinion, how many are on the metal poster ? The bets are open ! 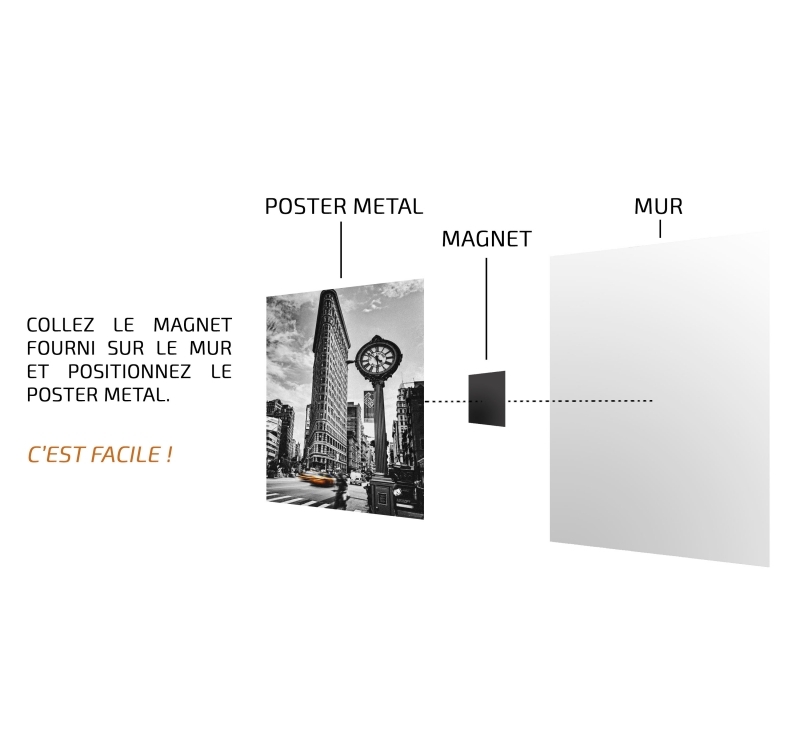 The dimensions of the metal poster are 67.5 x 48 cm. Free delivery in Metropolitan France and Belgium for this Eye to the Soul wall poster. 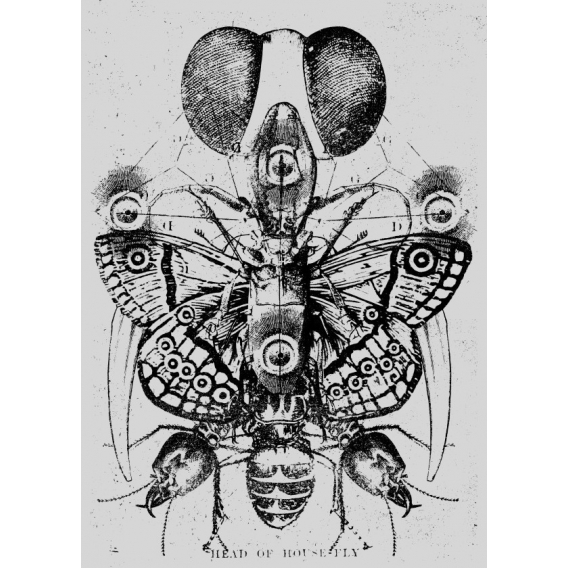 The eyes of the fly and the wings of a large butterfly are the head and body of this strange animal, composed by British artist FanFreak passionate about digital design and cinema. 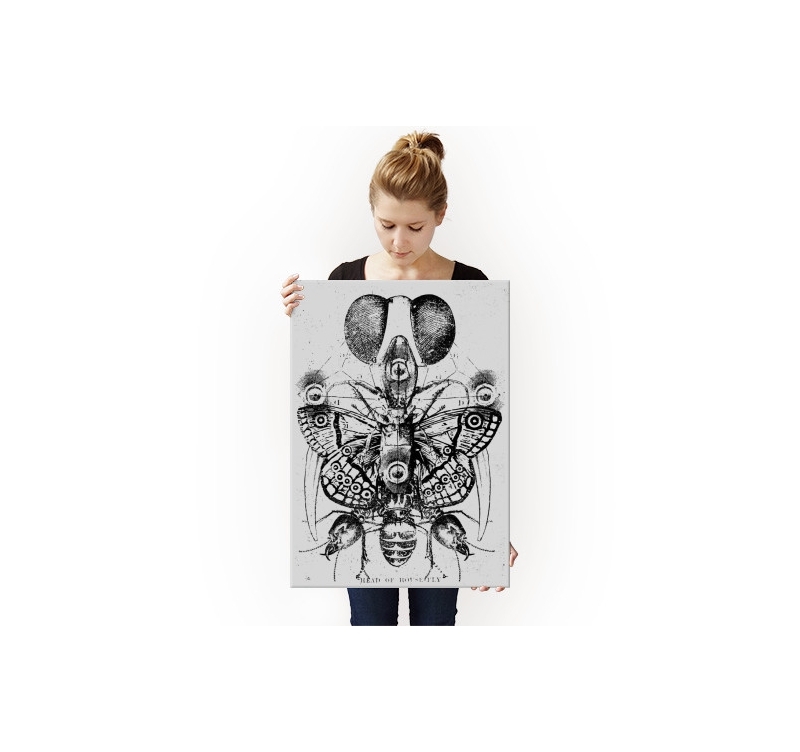 The metal poster seems to be a vintage souvenir, a felt or charcoal drawing, a memory of an entomology trip. 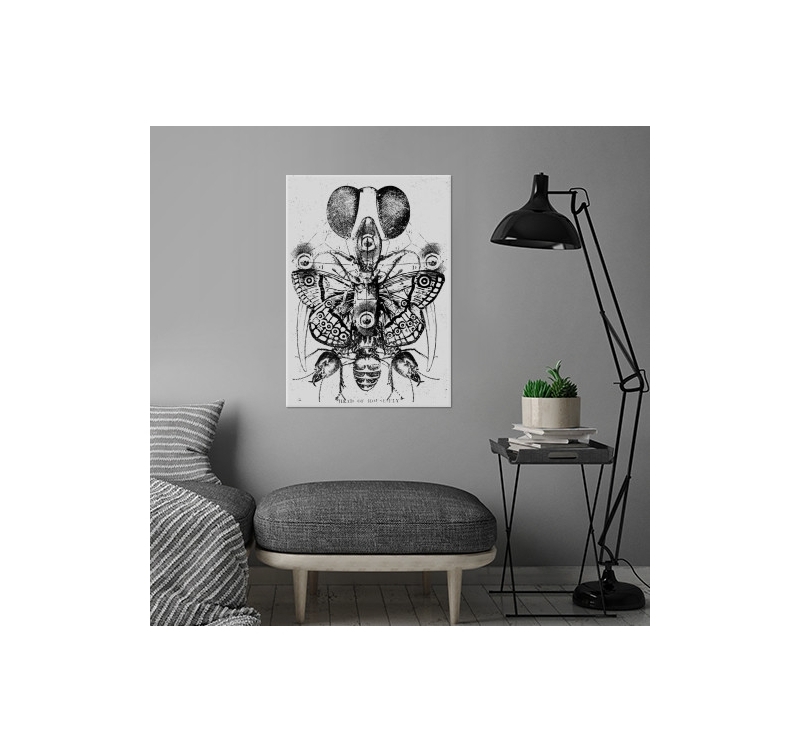 Ants, fly, butterflies and beetles mingle to form a highly decorative metal poster. To install the metal deco poster in your office or in a teen room, you will not need to drill your wall. 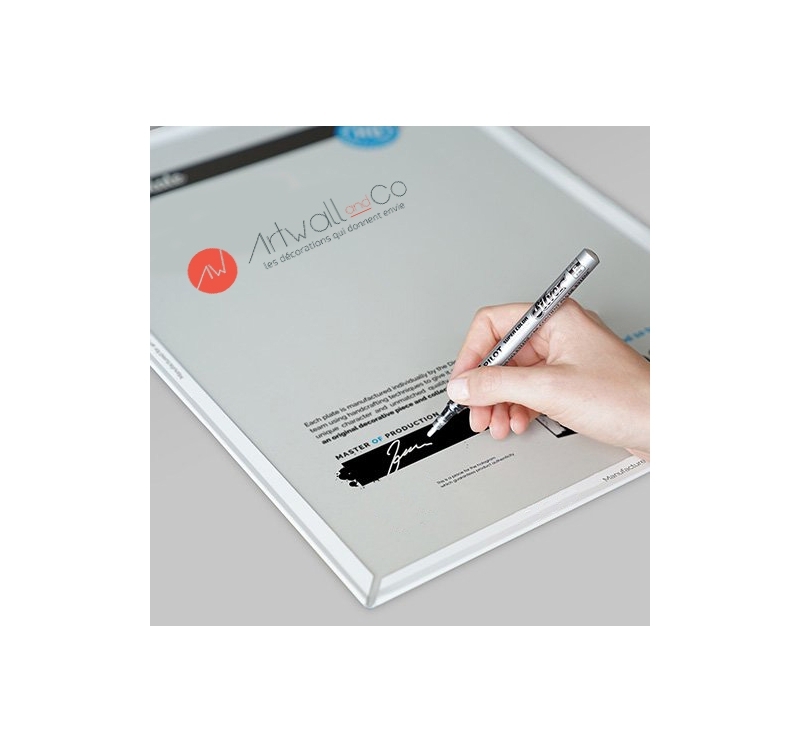 We deliver the metal poster with a magnetic hooking system that you just stick to the wall.